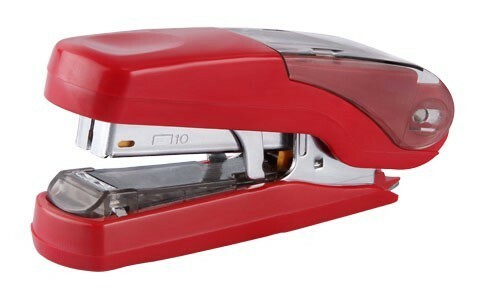 Innovative stapler with built in compartment for storing 2 strips of No. 10*50. Quality steel construction with high impact plastic casing. Practical for domestic home and office use. Indicate maximum insertion paper depth. The base length of depth is 26mm and breadth is 84mm.